Ofcom has put together an informative and fun worksheet to help parents and teachers talk to children about staying safe online. It has been created as part of Safer Internet Day 2019, which aims to promote the safe and positive use of digital technology for children and young people. This year's theme is ‘Together for a better internet'. Ofcom also carries out annual Making Sense of Media research into how children aged 3-15 use and think about media, including the internet. 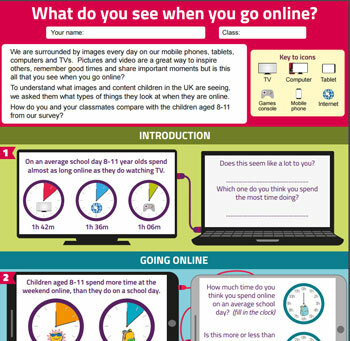 You can read our latest findings on why children spend time online here. You can find out more about the event – as well as how to get involved - by visiting the Safer Internet Day website. Brits are ditching DVD players and desktop PCs and are increasingly turning to newer technology such as smart TVs and smart watches, Ofcom research has found.